[This article appeared in The Australian Musical News , 1 June 1942, page 5. It is largely a reprint of the article from the same journal on 1 April 1933. That article was, in turn, largely taken (then with acknowledgement, but not now) from Musical America , 25 January 1933. Par 1 AN Australian girl who once bade fair to win international reputation as pianist merged her own personality in the dominating careers of two foreigners whose names have resounded throughout the world. The girl was Maggie Oakey, and the two men she married were, first the Polish [sic: Russian] pianist Vladimir de Pachmann, and secondly, Maitre Fernand Labori, the eminent French barrister whose name lives in French history as the brilliant advocate for Captain Dreyfus in the sensational retrial which nearly disrupted France forty years and more ago, but resulted in complete exoneration and restitution of the ruthlessly treated victim of an anti-Jewish conspiracy among leading French generals and high-ranking officers. Par 2 How many of her fellow Australians know anything of the extraordinary career of this girl from Melbourne [sic: Mudgee]? Beginning it as a musical prodigy at the age of six; appearing in concerts in the leading European capitals with such artists as Joseph Joachim and Adelina Patti at sixteen; coming shortly afterwards under the spell of de Pachmann and putting aside all that she had previously learned in order to master his method; then obtaining pianistic success as Mme. 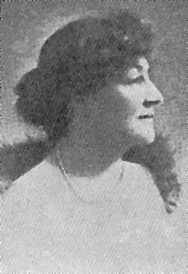 de Pachmann; and later, as the wife of Fernand Labori, noted French barrister, devoting herself chiefly to composition,—this interesting musician eventually began a new chapter in the varied volume of her life by deciding to take up the teaching of her former husband's method, of whose secrets she was the sole recipient. Par 3 Very characteristic is the account of her first meeting with Vladimir de Pachmann, who asked to be introduced to her after hearing her play, as a girl of sixteen, in London. With his customary directness, de Pachmann said to her, "Mademoiselle, you know nothing at present, but you have the divine sensibility and the musical intelligence which I have so long sought. Will you be my only pupil? But you are not to impart my method to anyone." Par 4 Such was the restriction which the great pianist imposed on his privileged pupil at the time. But he subsequently overcame his reluctance to having the secrets of his method revealed, and in a letter written to Mme. de Pachmann-Labori in 1931, expressed his approval of her decision to impart the fruits of his teachings, and his satisfaction at the thought that his method would thus survive him.